These 'Detract2' sandals from Franco Sarto are a great work-to-cocktails option. 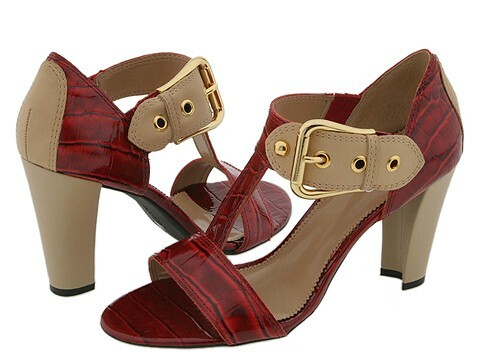 Elegant open toe t-strap design with buckle closure. Two-tone leather upper. Man-made lining and insole. Man-made sole.